Africa and its culture is incredibly interesting because it is so diverse. A lot of our culture centers around family and tradition. Today, let’s talk about Africa unseen. All the wonderful about the continents’ beauty the media won’t show you. Each and every African country is a mix of tribes each with their own unique language and traditions. Africa is the second largest continent and second most-populous continent which includes 54 individual countries, with South Sudan as the continent’s newest country. I love to travel, see new places and learn about different cultures. On our most recent of several trips to Africa, we visited Morocco and had a blast in Tangier, Casablanca and Marrakesh. I am not the fittest person, but I did hike up the Atlas Mountains. When we got to the waterfalls, it was an amazing feeling of accomplishment. I was able to accomplish one of my goals and cross something off my bucket list in the Motherland. Ouzoud Falls, Morocco – I told you Africa is beautiful…. One thing I hate is when Africa is featured in the news as the coverage mostly focuses on the negative. We have all seen the pictures of poverty, the starving children, the run down houses and streets, the illnesses, the fighting. Yes, many countries in Africa have poor and struggling who deserve help. Just as many countries around the world do. Too often, the presentation of African news by Western media convinces the audiences in United States, Europe and other parts of the world that the entire continent of Africa is poverty and disease stricken. The media loves bad, sad and emotional stories. Africa is not singled out for that, but it would be great to see fair and unbiased news coverage. You may have read popular headlines like ‘ U.S Sends Team to Fight Africa Ebola Outbreak.” Well, the whole continent was not affected by the virus. In actuality, the recent Ebola crisis only affected a few regions in four West African countries. Usually, you see run-down huts, not huts as nice as these…. African art history has played a significant role in shaping the culture and history of the world. Rock Art is centuries old and shell beads fashioned for necklaces are the oldest form of arts and crafts. We know from human evolutionary science that modern Homo Sapiens began in Africa. This makes it clear to reason and research back that the oldest and greatest amount of rock art is from Africa. The carvings known as petroglyphs depict animals and motifs. The art forms found on the African continent are as diverse as the African people themselves. Tribes produce their crafts according to tradition, availability of raw materials and historical influences. When you views African art, you are sure to notice several themes that come up over and over again. The themes are representations of different things that are significant to African culture; and reveal the importance behind some of its most beautiful art. All countries in Africa have a wide selection of arts and crafts, commonly in the form of wood carvings, brass, jewelry and leather. There are regional, cultural and ethnic distinctions in the various traditional wear which helps express the tribe’s identity. The traditional dress always has it’s own name, and it’s colours are usually bright. In West Africa, the caftan or boubou has also been widely adopted. The boubou can be worn both as formal or informal attire. In Morocco, northern Africa, the traditional attire is canned the Djellaba. It is the traditional long loose-fitting hooded garment worn by Moroccan men and women. The fabric of the Djellaba changes according to the weather. The haik is a traditional white outdoor costume, made of silk and wool and covers the whole body except the face and hands. Traditional attire is worn on a daily basis in many areas of Nigeria. The top three ethnic groups in Nigeria are the Hausa-Fulani (the largest ethnic group), Yoruba, and Igbo. The Yoruba people of Nigeria are known for their exquisite clothing. Clothing serves as an indicator of status and wealth. Gele – The traditional Nigerian cloth women wrap around their heads. There are many variations of how they wrap it. Iro – Long wrap-around skirts. The rectangular skirt is worn by wrapping it around your waist and tucking it in at the end. Buba – A loose fitting blouse with long sleeves and a neckline that is either V-shaped or round. Agbada – Nigerian men wear a robe called an agbada over their clothes for formal events. Sokotos – Loose-fitting pants for men with a drawstring used to hold them up. Africans love meat, chicken and spicy food. The dishes you eat are enriched with a base of tomatoes, onions and hot peppers. It’s not easy pinning down a national favorite dish for Nigeria, because this is a vast country with many distinct regional cuisines. I love RICE! Rice with Chicken! For me, Nigerian Jollof rice is the best thing in the world. Especially when you eat it with plantains. Don’t confuse plantains with bananas. Plantains are larger, have a thicker peel and are much less sweet than bananas. Couscous is a staple found mainly in North African cuisine. It is the national dish in Algeria, and is made with semolina, flour, boiling water and spices such as saffron and cinnamon, There is a wide choice of tropical fruit available such as avocado, mango, melons, coconuts, citrus, grapes and pineapple. African music is very captivating, with the drum at its’ center. Drums are played by hand in a loud manner, allowing it to be heard clearly as a solo instrument over a large percussion ensemble. The roles of music and dance are tightly woven together. Traditional music is used to help mark the important moments in life such as births, deaths, weddings, and other celebrations. Many cultures use song and dance to ward off evil spirits, or even pay respects to good spirits, the dead, and ancestors. There is so much to see, enjoy, and learn from Africa. Don’t rely on everything you see in the media or read on Google. There are many people out there who can share their experiences with you (like me)! Give you advice and tips of what to expect, depending on what country in Africa you are travelling to. ONLY 19 OUT OF 54! Just over a third! LOL – I wonder if I will ever get to visit all of them. 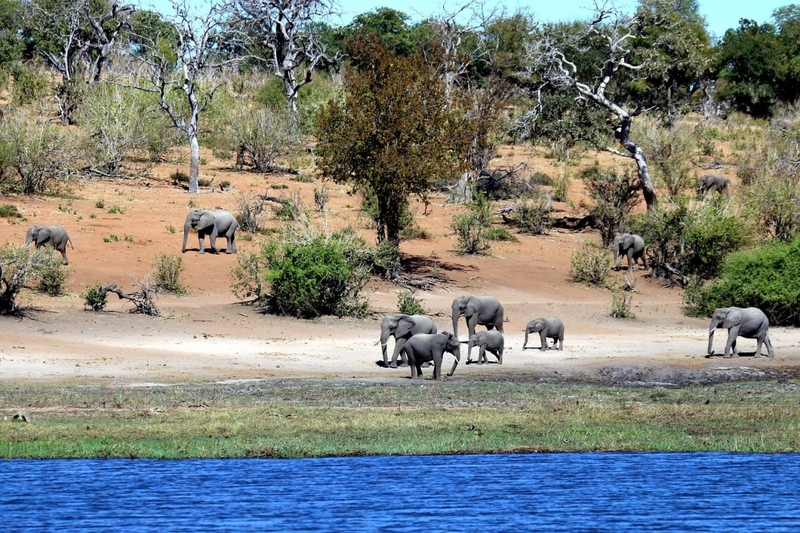 In Africa you can enjoy modern development, African culture, and outdoor attractions. Wildlife that you will find nowhere else in the world. Home to the River Nile, the longest river in Africa, and the second longest in the world. Africa is the only continent to stretch from the northern temperate to southern temperate zones. The second largest continent in the world, Africa accounts for about 14.2 percent of the world’s human population and makes up about 22 per cent of the world’s total land area. Have you had misconceptions about Africa? Were you able to learn a little about this great continent from this post? Share your travel experiences, and thoughts about Africa with me in the comments section below. Wow this is a great post! I have always wanted to go to Africa and now I really want to go! You have shown some great things that I have not seen before! Thank you! 1/3 of Africa? That is amazing. Such a vast land – I would love to take a life break and see it top to toe. What an experience. Thank you for putting in the spotlight the aspects of African culture that we do not usually hear about! I visited Ethiopia last year and although I was there for work I did have some time to explore. It was an amazing experience and definitely opened me up to these hidden aspects that you mentioned. I loved your comment about the popularity of spicy food, that is definitely so true! Africa sounds like one amazing place. It’s somewhere i have never been but I imagine the cultures are so interesting and beautiful. I love the arts and crafts and the clothing i so interesting and unique. You have been to so many countries and that is amazing! Wow, this is really an awesome post and I love to read more about this and so glad that you share this information about unseen in the africa. I must admit that before reading this article I was quite influenced by the negative side of Africa too, which now I realize is nothing but an over hyped view point of our global media around the world. Even today the major topics talked around Africa is poverty, hunger and diseases, which could be true on some levels but at the same time as a person I would love to read more articles like this, which inspires people to visit Africa and experience the rich culture of it as well. Loved all the pics! Thank you for sharing your experience with us. It’s sad that people have such misconceptions about Africa, and you’re right it will be from the media coverage of it. Both my mum and Dad have travelled the continent extensively and I love seeing photographs from their different travels. It is a stunning place. I really love the arts and crafts, especially the wooden carvings. I was truly impressed by your post. This is a total eye opener, there is so much more a place could offer than those that being commonly reported and published. Thanks for giving a brighter light for Africa, great pictures and information. WOW! Thank you so much for painting a DIFFERENT story and TRUE reflection of the beautiful Africa!!!! The dish you posted looks so SCRUMPTIOUS! Reminds me that I haven’t had anything to eat yet hehehehe. But I am with you… it’s so upsetting when the media only shows one representation of Africa and African people. You are absolutely right. We so often have such cryptic and conventional view of places. Only someone who has truly experienced the place and make our perception change. Loved the list of what we may be missing in Africa. I have never been to Africa but you are so right. We often only see the negative things about Africa and the poverty and although I haven’t been there yet, I am 100% sure this is not reality. Shame we look at the continent with these eyes. I would love to go to Africa one day, not sure yet with what country to start with! Africa is definitely a diverse continent.. From wildlife, beaches, nature, culture, art and food. So much to see, explore and savor. Glad to stumble upon ur blog post and know more about the place. I always wanted to visit Kenya, Namibia and South Africa. I had the fortune of actually *traveling Africa* – or at least half of the countries, when I encircled the continent from Morocco to South Africa and back to Egypt. The thing that struck me most was the wealth of permanent culture in the shape of great civilizations – from the Akan to the Zimbabweans to the Suaheli to the Ethiopians. That’s a part of Africa I wish more people knew about. I’m glad I came upon this article. You’re right, selective perception about Africa is very common. Thanks to travel blogs, one can have a more balanced view of world destinations. Looking forward to the colorful houses and the cuisine. Wow! It is a long time since I read such an interesting article. I am from Cameroon and It is sad that main stream medie always portray mostly negative aspects of Africa. Thank you for bringing this out. Thank you for this. All too often we see the not so pretty side of Africa. Just like other countries it has its beauty that we should not overlook. Beautiful. These photos are so beautiful! I love that you’re shedding light on Africa and the beautiful aspects of the continent! I had no idea, this was a great post, thanks for sharing! Your photos are beautiful. We love to travel but we have yet to make it to Africa. Thank you for sharing some of the best parts of your trip and a peek into the cultural there! It’s really sad and annoying that the majority of what we hear about Africa from the media are the negatives. I’m Nigerian and I am so proud of it. Our culture is next to none (my opinion). Great post!! Hahahahaha! I am right on that with you Esther. I love Nigerian culture, the banter, the food – oh how I miss Jollof rice, dodo, pounded yam,. gosh the list goes on and on for me. The media will always try to downplay the beauty and culture of African countries, but I am glad some people refuse to be deferred by the negativity. That is true…..in the media Africa is always shown in a bad light. Thanks to travel bloggers everyone gets to see the best part of the place. I left my heart in Africa! I traveled to Senegal, Tanzania, Kenia, Morocco, Tunis, Kenia, Zimbabwe, Zambia and South-Africa. I am so happy I can go back to South-Africa next Sunday. It’s one of those places ou can visiit over and over again. Love this post! I’ve also visited around 10 countries in Africa and now I’m back here to visit more. My goal is to visit all of them! It’s funny how all of my friends think that Africa is just a big dangerous, poor, disease infected country when there are so many different countries with lots of things to see. Africa has so much to offer…beaches, wildlife, mountains …and most of all warm and welcoming people. I spent some time talking to the Masais in Kenya and it was such an awesome experience. He told us about his family, that he has two wives and both are best friends 🙂 …its a tradition to have at least two wives in their tribe. There is so much to see in the continent …I have been to only 4 countries…so much still left! Africa looks incredibly beautiful!! Your list of all the places you’ve visited in Africa is huge and it still only covers a quarter. Incredible how big this country are. You have showcased Africa so beautifully – I love the colourful buildings…and the beautiful arts & crafts…and of course the amazing people. Thank you so much for sharing! From a food stand point, I find lots of similarities between Indian food and African food. There are a lot of use of onions, tomatoes and hot spices. No wonder, the dishes taste heavenly. As for the dance and music go, its extremely lively. Great post. So. This is a standard thing to say. But nevertheless – South Africa, Botswana and Namibia especially are high on my list 🙂 It’s something so different from what I have seen of the world so far. And you just added a bunch of gorgeous pictures to it, path set… and I definitely got a thing for plantains. YUM! Africa is such a beautiful country, so vibrant and full of culture. My husbands family is from Ghana and I would love to visit one day. Hi Jemma, yes I could tell by your last name that Ghana was in your family somewhere. I have lived in Accra and it is a great place, I hope you get to visit soon. Glad you enjoyed the post Punita, I hope you get to visit soon. Hi Neha, I am glad you are able to read more about the Africa the media won’t show you. There are so many negative misconceptions about Africa out there that I wanted to share a little light on the Africa unseen so that people can realise what a wonderful continent Africa is. Hi – I will eventually do a post on each but it will take a long time to get through all of the pictures, choosing which ones to use on the blog. Most of the countries I visited and lived in “pre-blog” LOL, but I definitely do want to cover each of the countries and give each one exposure in a positive light. First of all, you have hit the nail on the head! It really bugs me when people refer to Africa as one big country! The media always tells us about the poverty and disease but there are so many beautiful places to visit, explore and admire. Thank you for sharing this blog – It has made me want to visit now!! Impressive that you have been to 14 coubtries! I have yet to make it to Africa but when (not if!) I do I will make sure I squeeze in as many as I can. It’s generally seen as an expensive option for Aussies to get to but it looks like it is soooo worth it. Victoria Falls would be high up in my list! I would love to go to Africa I love seeing Elephants/baby ones too. I think they are such beautiful creatures. Hi Tara, I really hope you do get to go one day! There is so much to see and do. I think you would enjoy your time there Tara, no matter where in Africa you go. I love Elephants too! They are such magnificent creatures. These pictures are stunning, and they really do show a part of Africa that most people don’t see. Unfortunately Dannii, the media does a great job at showing only the negative side. I will do my best to try to show more if the beauty of Africa through my blog. This is a lovely post and you are totally right. So much in the media posts quite negatively about Africa and it is so sad, because Africa is such a beautiful country. The photos you have posted makes Africa look so colourful and beautiful. You have portrayed it very well and hope it will inspire more people to travel there. You’re so right. Generally, Africa is not portrayed in a positive light. Many times all we see is poverty, hunger, and disease. And I know many travelers who refuse to travel to the continent because they believe the media hype. Thank you so much for sharing this. I’m heading to South Africa later this year for the first time. I’m so excited!! I am glad I was able to show the Africa the media won’t show you through this post, as they choose to only show the negatives, keeping tourists away from seeing this amazing continent. How long will you be in South Africa for? I hope you have a wonderful time. Hi Alex – I am so glad you are able to see a different side of Africa and hear from a trusted source what a great place it is. Thank you for showing the good side of Africa. It’s so refreshing. I live in South Africa and I agree, Africa is a very beautiful continent. Thank you for your feedback Sara. I hope to do more of this in the future. Shed light of the Africa unseen. Very thorough summary of a massive continent. We have not yet had the pleasure of visiting a country in Africa. It has a lot to offer and we can’t wait until our kids our old enough to properly enjoy a safari. Of course, as you mention there is a lot more to see in the different countries than just safaris so we may be visiting sooner rather later. I think you would love it there no matter where you go. The time you have to spend there will help determine what country you choose. For example, Gambia is so small you can see the whole country in 48 hours or less, so no point in booking a two week holiday. But if you are going to Tanzania, or Kenya, South Africa, then it would make sense for two week trip. Hopefully you will get to visit all 54 countries! 11 is nothing to laugh at though, that’s quite a triumph! Thank you for sharing such an insightful post into the love, culture and art of such a beautiful continent. I agree that the pictures shown on general media are not so rosy. Thanks for sharing your amazing continent with me. Definitely more endearing. I think you’ve been to a lot of African countries! I’ve only been to South Africa but I’m going to Morocco in December. I really want to go to every African country some day! I know what you mean about annoying stereotypes about Africa. It bothered me when people asked me if I was worried about Ebola when I was going to Cape Town! Ebola was nowhere near there! You will love Morocco Stella. I certainly did. SO much to do and see. The thing is, I only started blogging over 6 months ago, so I never really captured great pictures on my other trips. Just simple pictures taken with a normal camera or phone as I never had the intention of starting a lifestyle/travel blog. I wish I had kept better pictures, but now I definitely will be. Have you already come to Vienna? I remember you were heading this way soon. xoxox S.
This is the wild, beautiful and untouched side of Africa that I always wanted to see. with Africa its always either Egypt and the pyramids or the Southern tips of South Africa. But these places are beautiful and need to explored just as much. I never saw such pictures of Africa nor thought about that. Even though I always wanted to visit someday. I have a friend who went often there, as her best friend was living in Africa. She used to do loads of safaris and from what she was telling us I really wanted to visit. Now that I’m able to do so, which countries you’d recommend to visit in the first place for someone who never stepped once in Africa ? I’ve always thought of Africa being a beautiful place but the unseen sights you’ve listed here makes it even more beautiful and appealing. There’s so much to the country aside from the safaris. I love how the homes and food are bright and colorful. I always had this stereotype about Africa and thought South Africa is the only safe, secure and hygienic place to visit. Didn’t know about all these beautiful places. Thank you for opening my eyes to it. To be honest, when I think of places I want to travel to, the only country in Africa I have thought about is South Africa. But after reading this you really made me think about it. You are totally right and I should know better, Africa is not just what the media portrays. I really hope I can get to visit lot’s of countries in Africa one day. Wow! What amazing photos you have! I was actually thinking what me and my husband should try next – Arica or South America. He really wants SA, but I am not sure I can agree with him 🙂 I will definitely show him your post! Many friends of mine visited Africa and everybody came home with wonderful memories and amazing stories to tell! That is great Polly, I am happy to hear your feedback. LOL Cykaniki – Africa is a continent and not a country 🙂 Have a lovely weekend. You are so right with your article. Somehow, all I ever see are the negative like poverty. It’s great that you had taken the time to show us a different side of Africa. I love the photos very much and it goes on to show that Africa is not only about desert and heat but about a diverse culture as well. Hi Mark and Kate! Thank you so much for the feedback! This is exactly the message I was trying to get across to my readers. Africa has so much to offer, so much land and beauty and we should celebrate that, rather than focusing on the negatives. Every continent has countries where things are not always wonderful and beautiful. I am happy I can project Africa in a more positive light. Wishing you both a great weekend! African musical instruments look simple. I want to hear the music of traditional Africa. may sound very beautiful. apart from that I also wanted to see the sights there. From your pictures look beautiful scenery. I like your pictures. Thank you so much for this amazing information about the “unknown” in Africa. I have never been to Africa myself, but I would love to go to South Africa and Morocco. This is such a great overview of Africa. I’ve never been but I’ve always been curious. Your pictures are absolutely amazing. Oh, wow, all these photos look absolutely amazing! I’ve always been fascinated with how colorful Africa can be, from the landscape to the arts and the clothing. I want to visit as much of it as I can in the future, but sadly it’s not yet one of the continents I’ve set foot on. Me too… I haven’t been there to this great continent yet. I guess all tropical countries have spicy food, helps tackle the hot weather. I love those colorful kaftans, costumes. Great pics. I have never been to continent Africa but would love to visit South Africa, Morocco and Egypt some day in my life. Thanks for showing the different side of Africa to the world which is so colorful and rich in its tradition and culture! By the way, your pictures are breathtaking! But from your post, i did learn about their woodcarvings, brass and leather accessories… they look as splendid as their traditional clothing! Sheri, you know Africa is still a closed continent for me. I really really want to explore it, but for some reason not daring to go yet. We were thinking of spending last winter in Kenya, but I thought that it might not be very safe. Visiting for 2 weeks is ok, of course. But if we were to go there for 3 months, I’d need to be driving alone, walking and shopping alone, and this is where I didn’t feel like I would be safe. Thank you for sharing this with me Veronica. I would like to know what makes you feel like you will not be safe in Kenya? Or in another country? Is it things you have hear din the media, or experiences from people who you know that have been there? Also, do you feel that way about countries in Africa only, or other countries on other continents? I am curious to hear your thoughts on this. I’ve only briefly been to Morocco, but would love to explore more countries in Africa. It’s always good to get a better perspective for regions we don’t know much about – especially since Africa is so huge and diverse! I hope I get to visit someday! I really hope you get to go to another country in Africa Evanne! I think you would love it. I had a great time in Morocco and in other parts of Africa. Africa is a very interesting place. So far I have visited 8 countries in total. This continent never seized to amaze me. Their art, food and Unesco heritage sites as well as its history are interesting. I’m going back next week. Will be doing Rwanda & Uganda and I’m very excited. Oh that is so lovely to hear. I am happy you have enjoyed your trips through Africa. Looking forward to hearing about Rwanda and Uganda! Thanks for sharing this with me Lance! Very insightful for arts, food, and culture of Africa. It is absurd that the news and people refer to Africa in such general terms, things that would never be generalized for South America or Europe. I honestly think most people have no idea that Africa is a continent and not ONE country. Good explanation.